I ain't feelin' so hot today. I think I am coming down with The Crud. 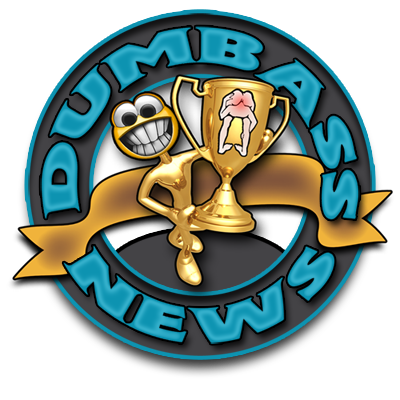 That said, here ya go with the Best of Dumbass News. Howdy, y'all! It's 11 degrees in Augusta, Maine on this fine Sunday morning. It looks like Old Man Winter has finally arrived in New England. I am not happy about this. Let me splain to our newer readers. I am from Texas. It is warm in Texas for 50 weeks of the year. I like it warm. Where I live is next to Canada. Canada is cold 50 weeks a year. Plus Canadians talk funny and call one of their coins a "loony". I ain't kiddin'. Therefore, the choice is simple. I choose Cancun. Remember this story as you stop off at Dunkin Donuts on the way too Church this morning. But as the Good Book says, Jesus came to save the sinner, not the righteous. There's some good sinnin' going on in this story. Amen. There's a Dunkin Donuts on Route 46 in Parsippany, New Jersey that has added an item to their menu. Dunkin calls the new item is called "The Extra Sugar". Local cops call it prostitution. I would have called it the "donut hole", but I am a sick, twisted freak. Let me splain. Melissa Redmond works the overnight shift at one of the local Dunkin Donuts in Parsippany and it seems that she was serving more than donuts and coffee to some of her customers. After receiving a tip from an informant, cops set up surveillance and observed Melissa leaving her post in the store to go to the cars of select customers, stay for 10 or 15 minutes and then return to work. It didn't take long for the cops to catch on so Melissa the Donut Ho was arrested for selling "Extra Sugar". Dumbass.